Need a lift to the store? The new partnership between Waymo and Walmart will do just that—simply order your groceries online, and a self-driving car will come pick you up to go get them. In the dawning age of self-driving vehicles, grocery chains are already using autonomous cars to bring groceries to us… but now they want to bring us to the groceries. Google’s self-driving spin-off company Waymo recently announced a partnership with fellow behemoth Walmart geared toward transforming the way Americans think about grocery shopping. The concept? Use fewer shopping carts—and more self-driving cars. After placing an online order on Walmart’s website, a pilotless vehicle will whisk away some Chandler, Arizona residents to the brick-and-mortar store to pick up their purchases. For their troubles, the shoppers will also get discounted goods on top of their round-trip ride in an autonomous car. 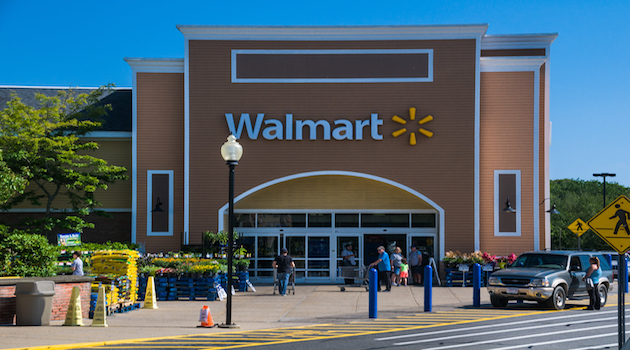 Indeed, it may be previously learned lessons that have helped shape the seemingly strange design of the Walmart program. Many early experiments involving autonomous cars have positioned the vehicles as delivery drivers, rather than the chauffeurs carting customers to and from a store. Still, use of self-driving cars in this way may signal a burgeoning trend. Long considered the leader in the autonomous car space, Waymo has been collecting extensive information on the way its early riders have interacted with the vehicles in the past year. The company noted that grocery shopping—and running errands in general—has been one of the biggest uses of its cars. The company has been further positioning itself in the car-as-chauffeur camp with a slew of other recent partnerships all designed to further cement the idea. This includes a deal with car rental company Avis—which Waymo first hooked up with last year—to usher customers to and from a rental facility.